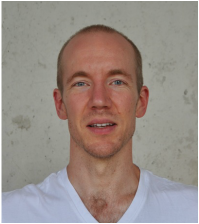 Scott Lamps is a yogi and yoga teacher living in Madison, WI, USA. He travels with fellow teacher Ida Jo, offering workshops, immersions and trainings around the US. He is the author of the Ghosh Yoga Practice Manuals and an editor of Buddha Bose's lost manuscript of 84 Yoga Asanas and Dr. Gouri Shankar Mukerji's ​84 Yoga Asanas. Lamps' practice and teaching draw from many styles of yoga including Ghosh, Vinyasa Krama, Ashtanga Vinyasa, Kundalini and Forrest as well as non-yoga practices like Qigong, Martial Arts, Ayurveda and Western Medicine. He has studied Ghosh Yoga with Muktamala Mitra (granddaughter of Bishnu Ghosh) and Tony Sanchez. "I believe that the goal of yoga is to remove suffering, whether physical, mental, emotional or spiritual. It begins with a healthy body: good nutrition, good digestion and circulation, strength, flexibility, balance and rest. It brings awareness and peace to the mind, unifies the mind and body, and awakens our spirit." "My yoga teaching comes from my practice and from my study of yogic scriptures and texts. I am always learning; always seeking greater knowledge and deeper experience. I believe that the best teachers are the ones who have walked the path themselves. I practice and study every day, and I hope that my own progress can guide the progress of others." "The physical aspects of the yoga postures are very important to me, but so are the mental and spiritual. The postures can heal our bodies and make them strong. The breathing, mindfulness and meditation can heal our spirits and quiet our minds." Lamps began meditating at the age of 13 as part of his martial arts study. He studied Shotokan Karate for 5 years before earning his black belt. Shotokan is similar to yoga in its mind-body connection, focus on the power of breath, energy, balance, mindfulness and meditation. It is also where Lamps began to study Eastern philosophy and spirituality including Zen, Buddhism and Taoism. After dabbling for a number of years, Lamps began to practice yoga in earnest in 2010. He immersed himself in the practice of Bikram's class, complimenting with occasional excursions into Vinyasa, Ashtanga and Forrest yoga styles. In December of 2013 he traveled to San Jose del Cabo, Mexico to study with yoga master Tony Sanchez. Sanchez teaches 91 asanas in the Ghosh Lineage, with emphasis on personal practice, awareness, alignment, therapeutic benefits and spinal intent. In 2015 Lamps returned to Los Cabos to study the complete 91 asanas with Sanchez. In 2015 he spent 4 weeks in Calcutta, India studying at the Ghosh Yoga College under the guidance of Bishnu Ghosh's granddaughter Muktamala Mitra. In the tradition of Bishnu Ghosh, yoga is individual, therapeutic and prescriptive. Every exercise has a specific set of benefits and risks, and every person has unique needs and considerations. This leads to individual yoga prescriptions for everyone. Always curious and eager to learn, Lamps has also attended workshops with Mary Jarvis, Esak Garcia, Ana Forrest, Rolf Gates and John Friend. In 2015 Lamps published two books with fellow yogi Ida Jo. They are practice manuals for the postures in the lineage of Bishnu Charan Ghosh, containing explanations and detailed instructions for each posture. The Beginning manual, with 39 postures and 3 breathing exercises, draws on the authors' study with Tony Sanchez, Muktamala Mitra (granddaughter of Bishnu Ghosh), and their work as editors of Buddha Bose's lost manuscript 84 Yoga Asanas. 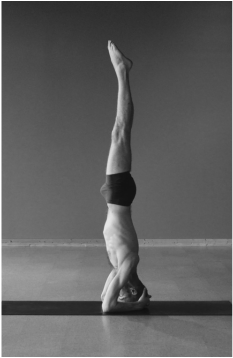 The Intermediate manual contains 52 postures and sequences, including Headstand, an expanded stretching and double-sided series, and Lotus preparation postures. The Intermediate manual is based loosely on Tony Sanchez's Master's Core System, which the authors studied extensively. 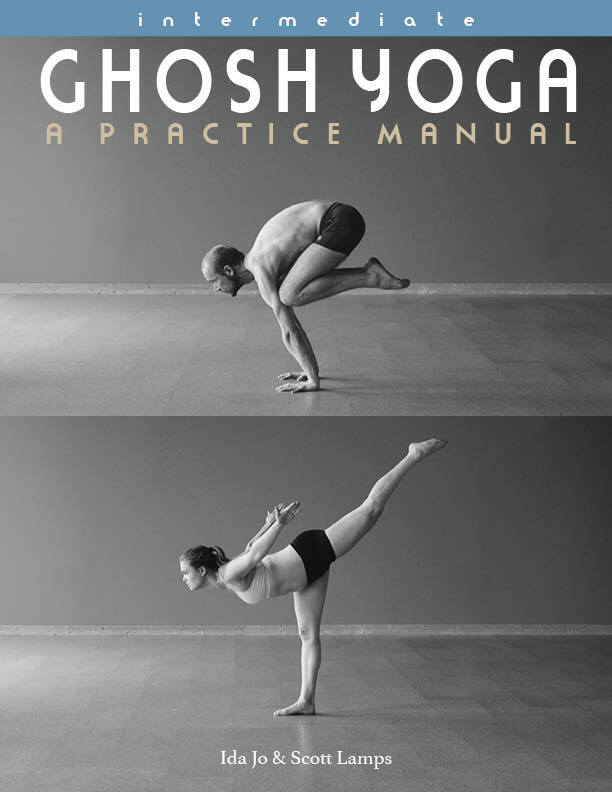 The first of 2 Advanced manuals containing the pinnacle postures in the Ghosh lineage is available here.